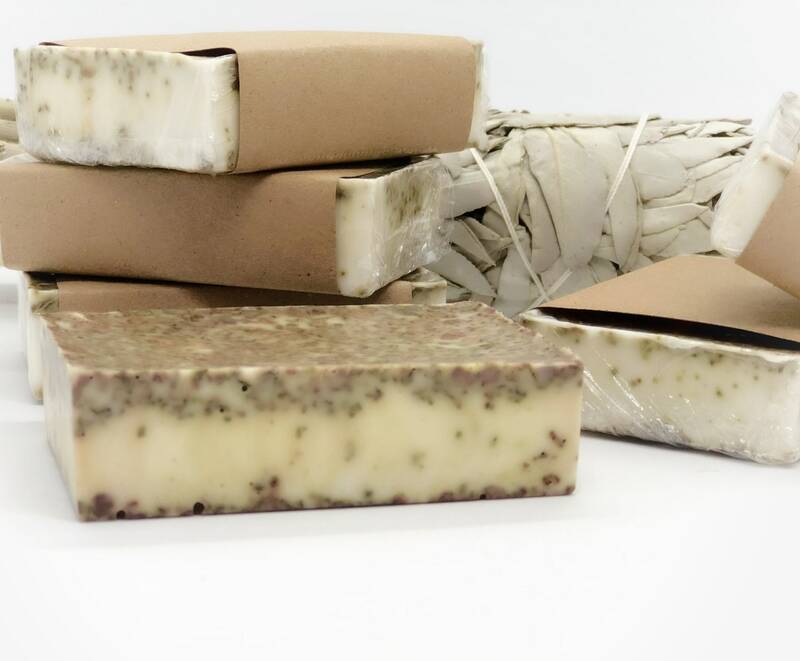 White Sage organic soap made with all natural ingredients. 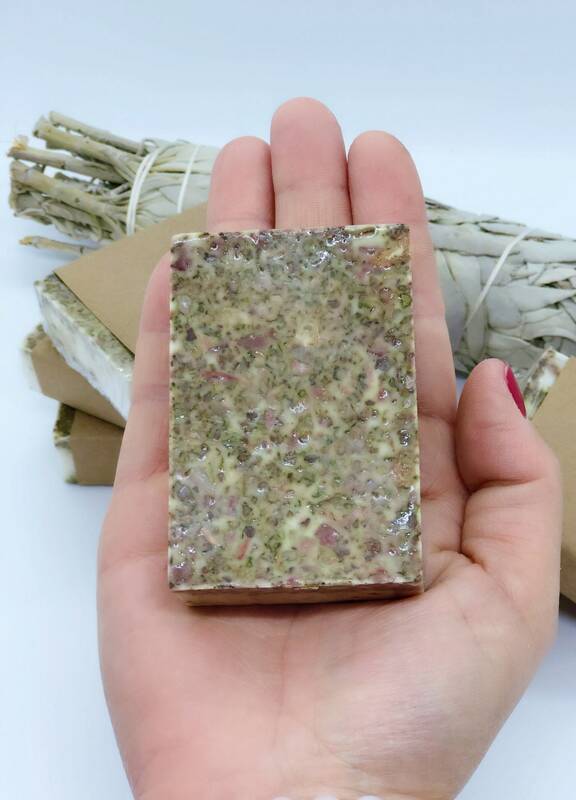 This soap is handmade with lots of care using the highest quality ingredients including certified organic therapeutic essential oils. These bars are sold individually and weigh 3oz. 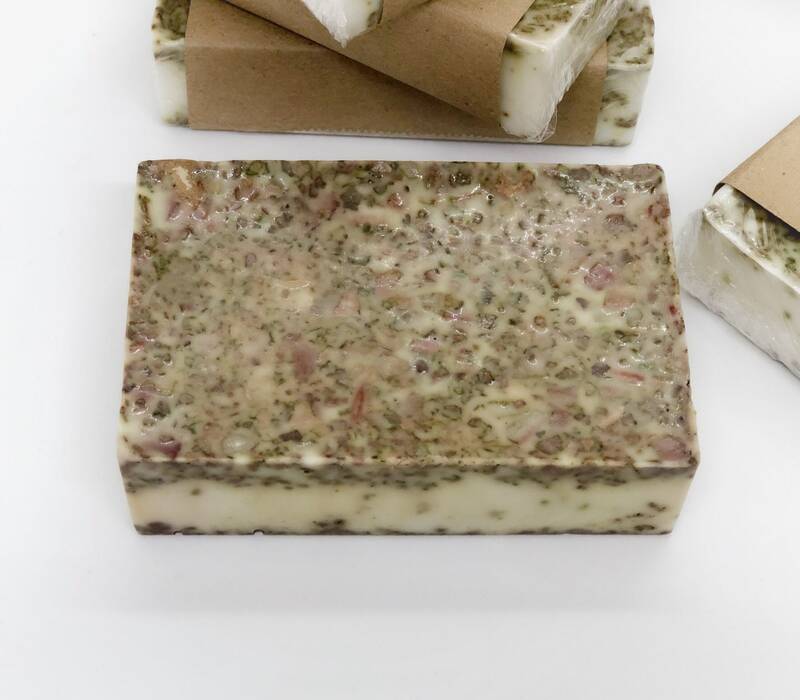 My soaps are made in small batches, never mass produced, and contain herbs that are hand harvested using traditional methods of offering and prayer. 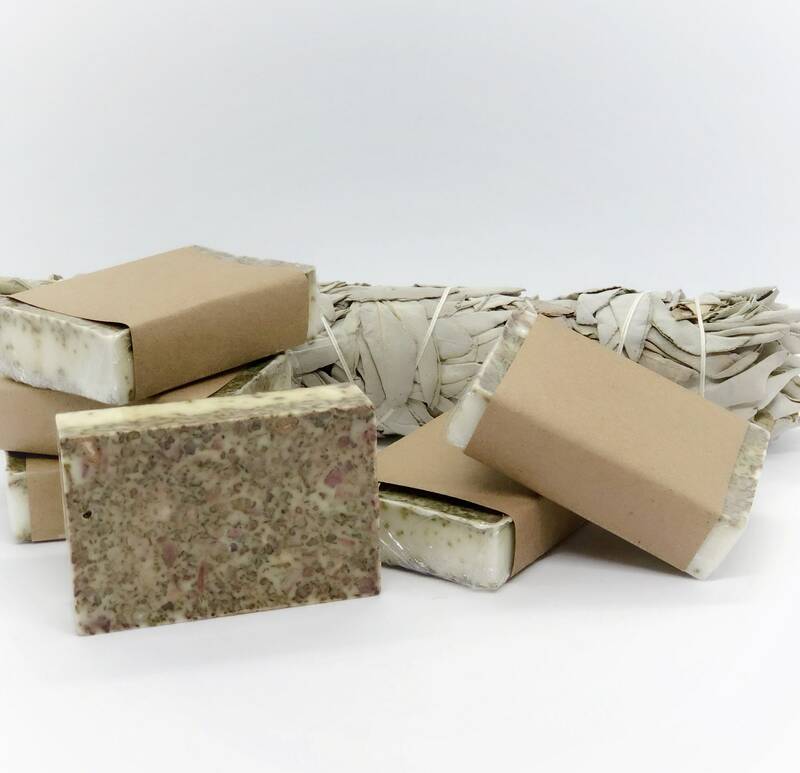 This white sage soap has a fresh yet masculine aroma and is gently exfoliating. Absolutely lovely soap! VERY pleased. Wonderful seller who puts her heart in her products. Came quickly and smells delicious. Packaging is simple and delightful.